Obituary for LaKisha Renee Stokes | Kelsey Funeral Home of Albemarle, Inc. The presence of Our Lord and Savior blessed our home with a beautiful baby daughter, LaKisha Renee Stokes, born July 26, 1976 in Columbia, South Carolina. She was the daughter of Henrietta Hankison Stokes and the late Thomas Edward Stokes, Jr. On Tuesday, January 15, 2019 our beloved LaKisha was called to her Heavenly home while a patient at Carolinas Medical Center-Northeast, Concord, North Carolina. We give thanks to the Almighty for blessing our lives with LaKisha. She will be missed dearly. She was educated in the Stanly County, North Carolina public schools and graduated in the Class of 1995-Albemarle Senior High School, Albemarle, North Carolina. 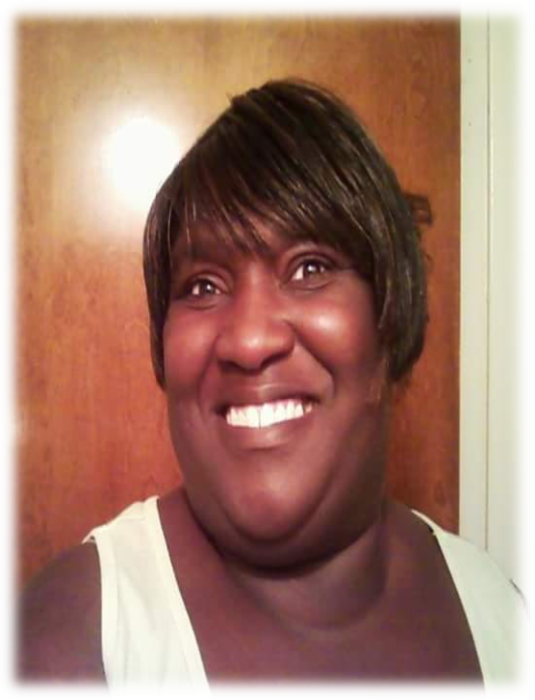 LaKisha was a former employee in the food service department with Bethany Woods Nursing and Rehabilitation Center, Albemarle. She enjoyed solving cross word puzzles, babysitting her nieces and nephews, going to the movies and spending time with family and friends. LaKisha attended church services at New Life Baptist Church, Kannapolis, North Carolina. Her father, Thomas E. Stokes, Jr.; paternal grandfather, Thomas E. Stokes, Sr., maternal grandparents: Cora Hankison and Willie Bryant, preceded her in death. She will be remembered fondly by: her children: Brandi Simone Stokes and Jaquantis Rayvon Stokes, both of Albemarle;one grandchild; mother, Henrietta H. Stokes, Albemarle; brothers: Brett J. (Sheana) Stokes, Badin, North Carolina, Brandon N. Stokes, Albemarle and D’Mitri Stokes, Kannapolis; sisters: Samantha D. Stokes, Locust, North Carolina and Bianca (Tyrell) Stokes, Kannapolis; paternal grandmother, Mary Frances (John) Edwards, New London, North Carolina; aunts: Gwendolyn Stokes, Daphne Robinson and Arlene Bryant; uncles: Alvin Bryant, Jimmy Bryant and Kenny (Shelia) Stokes; a host of nieces, nephews, special cousin, Michelle Gilmore; and special friends: Viline Lindsey and Tyrone Steed.